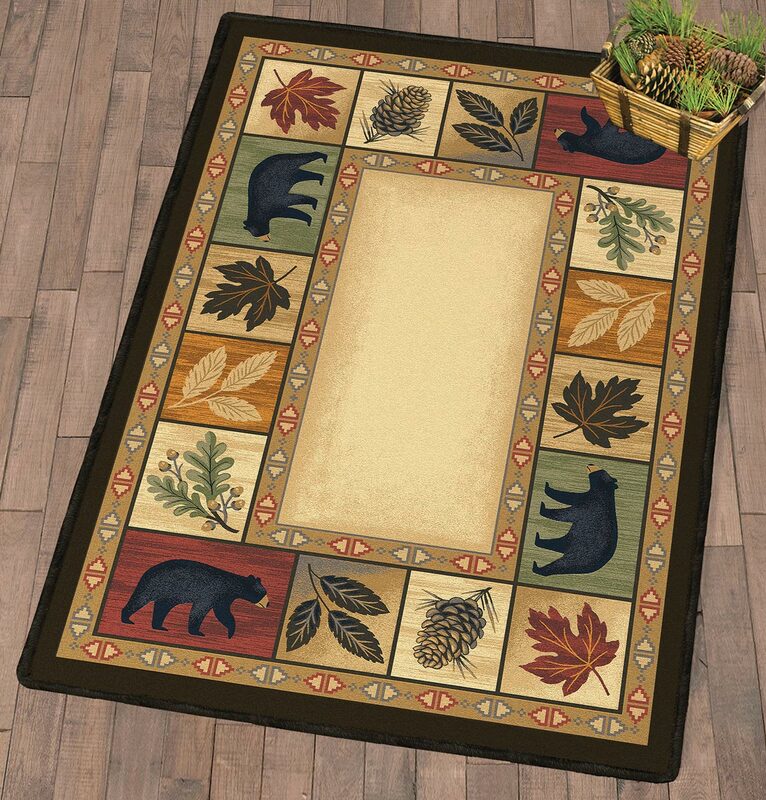 A Black Forest Decor Exclusive - Black bears and foliage create outdoor style on this premium nylon rug. Stain and soil resistant. Made in the USA. 2'8"W x 3'10"L. Allow 2 weeks.